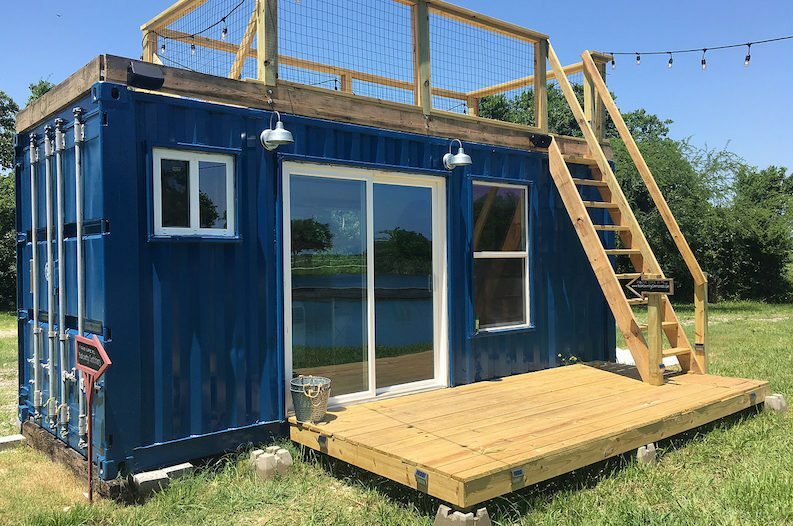 One man's growing tiny house business in Texas will soon be featured on HGTV. Jon Meier lives in Needville, Texas, and previously worked in the oil and gas industry. Last year, he decided to completely step away from his career to fulfill a new vision. "I always see these broken down containers on people's yards and shipyards. There's millions of them in Houston, and they go to waste," Meier told KHOU. "Then I was thinking, I can get everything done to build these tiny little homes." So that's exactly what he did. Meier converted his 37-acre property into a place to work on his shipping container tiny homes. The project turned into his own business, named Backcountry Containers. Not long after, his hand-built homes began getting attention from buyers around the world. Now, one of Meier's latest homes will be featured on the popular HGTV/DIY show Tiny House, Big Living. The episode will give viewers a peek inside the home he built for his sister-in-law, complete with a massive closet designed to hold over 200 pairs of shoes. If you want to own one of his incredible and unique homes, they range in cost from $25,000 to $50,000. You can catch his episode of Tiny House, Big Living on DIY at 8 p.m. on Jan. 5, or on HGTV later this April.